Salient WordPress Theme will turn your content into a work of art. Flexible, has loads of features and terrific customer support. Best pick for creative agencies. Thousands of WordPress sites are built every day and are overflowing the web! Is getting harder and harder to create something unique, one of a kind, that pulls people to your own website. Even though there are a lot of WordPress themes to choose from, most of them have similar layouts and designs. There are only few themes that will help you stands out of the crowd, and transform your blank WordPress installation into awesome looking website people want to visit and share. Salient WordPress Theme is one of them. WordPress Theme Salient will help you leave your mark on the web with its slick looks and one of a kind demos. Crafted by ThemeNectar, Salient Theme uses award-winning, handcrafted design you’ve never seen before. 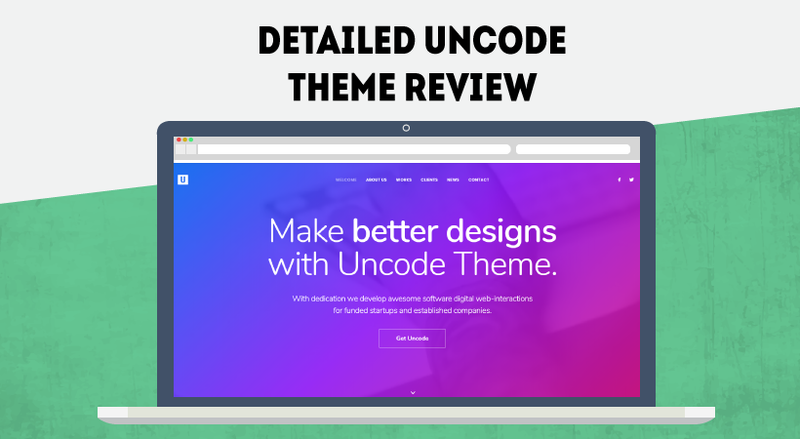 Let me highlight the benefits of this creative WordPress theme for you. 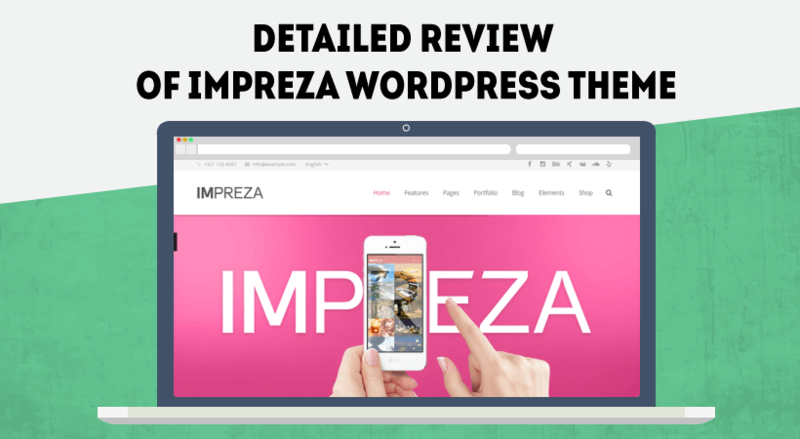 In this detailed review, you will what Salient is capable of doing, so you can decide if this is the right theme for your online business. Created in March 2013, to this moment Salient WordPress Theme sold more than 39,000 licenses. This is not so much, considering other themes created around the same date and providing similar features, but there is a reason for that. Take only one quick look at the theme preview: Salient Live Preview. You will immediately see that Salient not suitable for an average website. If you have a blog, or you are running an online store, and your products deserve a special place where they can be presented, Salient Theme is for you. It really is something else, something not everybody would want to use, but those who will use it will be delighted with the outcome. Salient Visual Composer – The best drag and drop website builder. Take full control of your website. WooCommerce – Sell anything beautifully on your website. Visual Composer is required for Salient to run properly. As far as WooCommerce: if you are not selling anything on your site you can simply disregard the message about it. 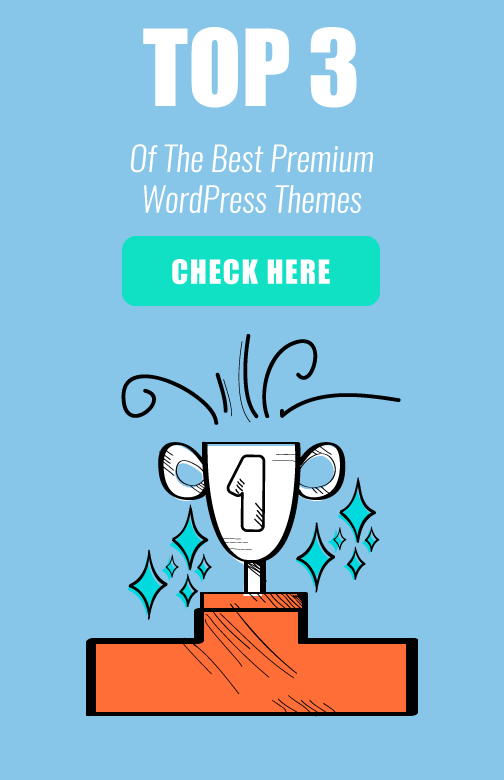 How will Salient WordPress Theme help your site stand out of the crowd? Creating something new is really hard even for someone working full time graphic designer job. But even if you aren’t, don’t worry about it. Salient theme is designed to impress. Unique demos, Nectar slider, Shortcodes and Awesome icons are only few of the things this theme has to offer. Narrated videos and documentation included. Now lets take a look at the main features and options available in Salient Theme. Starting with importing one of the unique demos. 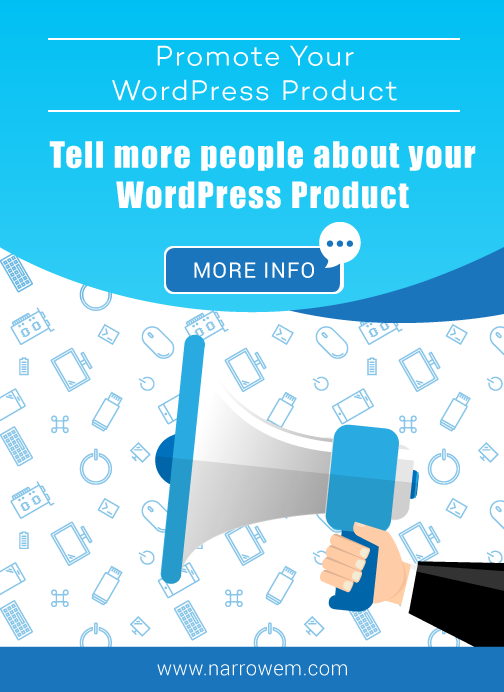 Unlike other themes that have separate menu allowing you to import the demos, to do that in Salient WordPress theme, an additional plugin has to be installed. 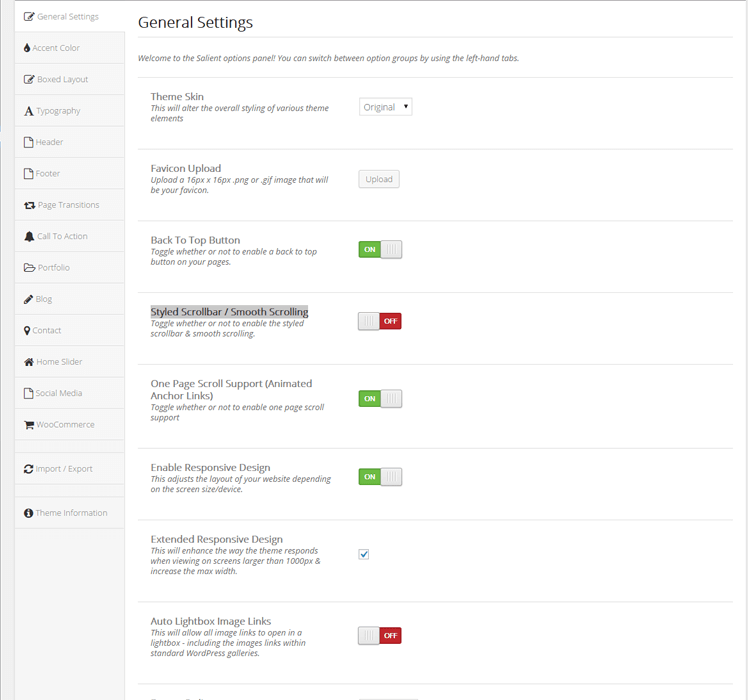 A lot going on inside Salient theme admin panel. 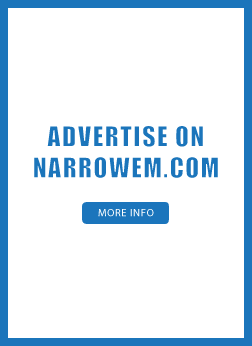 You will see more than 15 tabs full with available customization. Changing the theme skin: two available options. Enable/Disable back to the top button. Enable responsive and extra responsive design. Add your Google Analytic’s code. I am not a big fan of this kind of page loading screen, simply because it increases your website speed, which we all know is not a good thing. 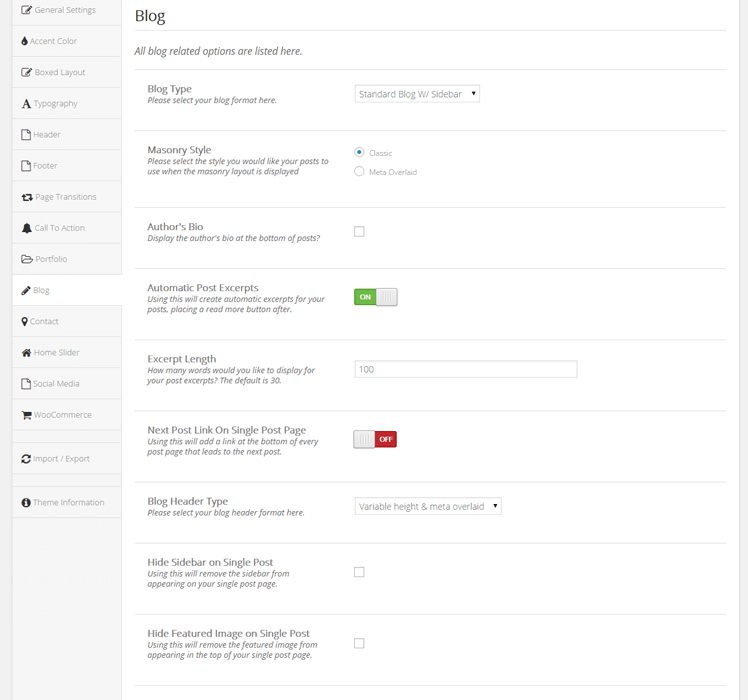 One of the features I really liked about Salient WordPress Theme is the custom call to action box that can be easily implemented throughout the whole site. 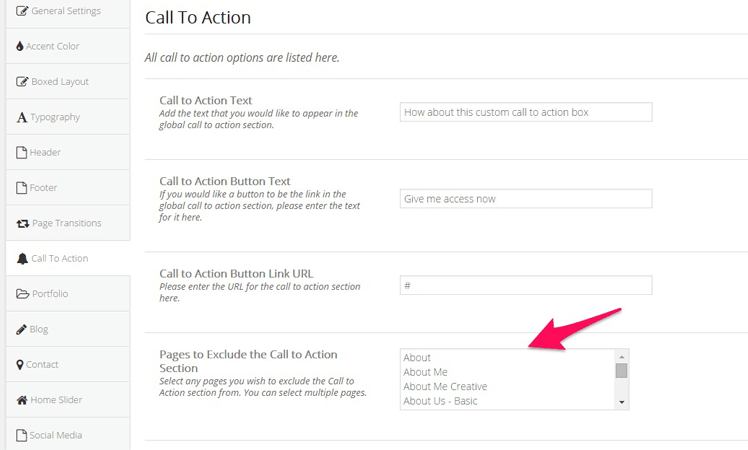 Add your own text and target URL, from inside the Call to Action tab. It additionally gives you the option to remove it on specific pages. To create your own custom landing pages with Salient Theme, you will use Visual Composer. Modified from the theme developers, the plugin is configured to better suit the overall design and ease the end customer. There are a couple of different ways to modify and show your posts to your audience. Let’s start with the main setting panel. Inside the Blog tab you can make a couple of changes, that will have global effect, things like: Showing the author below each post, Social Sharing buttons, Pigmentation type and etc. After you decide what elements you want to appear inside each post, and you have a couple of articles written in a specific category, is time to make the visible on the website. Create a brand new page and activate the page builder. Chose either Blog or Recent posts element, and set how many posts to appear and etc. You can see that Salient WordPress Theme comes packed with a lot of features and options available. Even if you have difficulties along the way, the available video tutorials will answer all of your questions and help you customize your site the way you want to. What is the price of this WordPress theme? 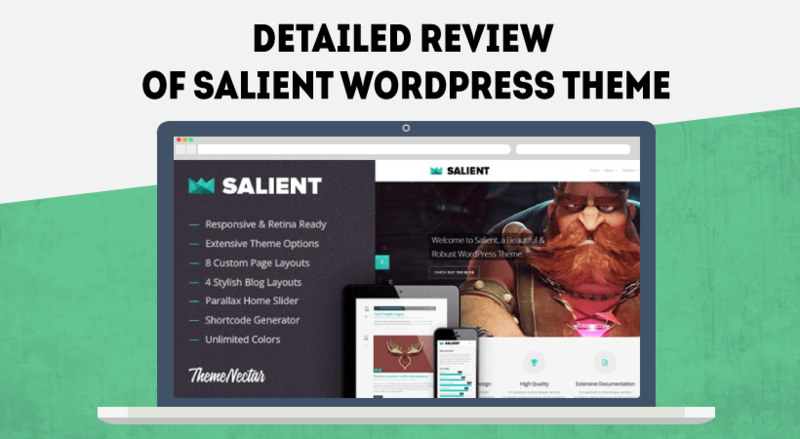 Several times became the best-selling theme of the week in ThemeForest, Salient WordPress theme can be yours to help you stand out of from the crowd, for the price of $59. If you are using Page Transition, the theme loads slow. Boxed and full-layout cannot be changed for a specific page. Spectacular WordPress Theme with clean, responsive layout. If you are running only a blog, this probably won’t be the best choice, because you won’t use all the cool features provided by Salient. Definitely a theme I would recommend to someone creating business website for a company in creative industry. Also for eCommerce sites selling unique clothes or innovative products.